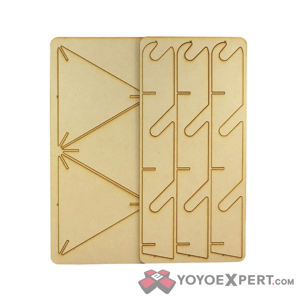 YoYoExpert Blog & Yo-Yo News – New YYR Titanium FIREWORKS & Tower yo-yo holder! New YYR Titanium FIREWORKS & Tower yo-yo holder! The latest line of yo-yos from Yoyorecreation is the AE series. These high performance throws pack all the punch of the Japan-made YYR designs at a fraction of the cost. This is their newest design – The titanium Fireworks! The Fireworks was developed to deliver the performance and power of a full titanium yo-yo to a wider range of players. This yo-yo has a fast maneuverable play style with a solid and extra stable feel on the string. It has a slightly compact design that is perfect for tech style tricks, with a weight distribution that won’t slow you down through fast speed combos. This isn’t your average yo-yo stand! 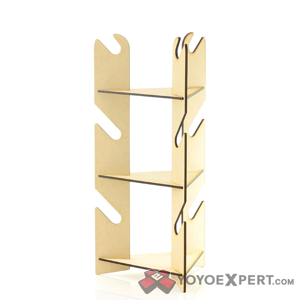 The yo-yo tower has a simplistic look, but it might just be the most functional and creative way to display your favorite yo-yos! 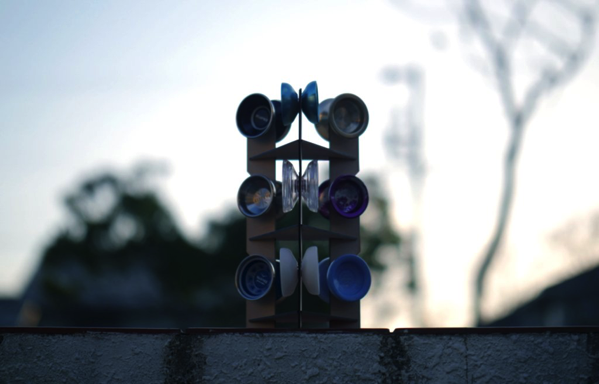 The new wooden Yo-Yo Tower is designed by Yoyorecreation team member Sojun Miyamura. They are laser cut from wood and have a really clean and different look when assembled.